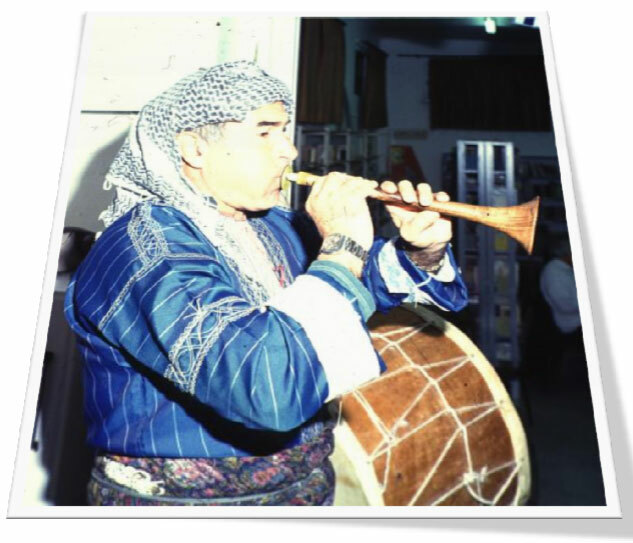 The relocation of North African and Middle Eastern Jews to Israel in the 1950s and 1960s brought together communities from Egypt, Iraq, Kurdistan, Yemen, and many other Islamic countries, as well as their unique music styles. In the unstable, improvisatory spaces of transit camps, development towns, and poor neighborhoods, they created a new pan-ethnic Mizrahi identity and a homegrown hybrid music that inspired equal parts high-pitched enthusiasm and resistance along the fault lines of Israel’s ethnic divide. 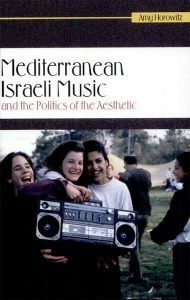 In Mediterranean Israeli Music and the Politics of the Aesthetic, author Amy Horowitz investigates the emergence of a new pan-ethnic Mizrahi style of music between the 1970s and 1990s, as the community struggled to gain recognition on the overlapping stages of politics and music. This volume is both an ethnographic study based on Horowitz’s immersion in the Mizrahi community and a multi-voiced account of community members, who describe their music and musicians who play it. Horowitz focuses primarily on the work of three artists—Avihu Medina, Zohar Argov, and Zehava Ben—who pioneered a recognizable Mizrahi style and moved this new musical formation from the Mizrahi neighborhoods to the national arena. She also contextualizes the music within the history of the community by detailing the mass migration of North African and Middle Eastern Jews to Israel, the emergence of these immigrants as a pan-ethnic political coalition in the 1970s, and the opening up of markets for disenfranchised music makers as a result of new recording technologies, including the cassette recorder and four-way duplicating machine. Mediterranean Israeli Music and the Politics of the Aesthetic places folklore within the frameworks of nationalism, ethnicity, ethnomusicology, Jewish studies, Israel studies, Middle Eastern Studies, and politics. Anyone interested in these disciplines will appreciate this remarkable volume. This course examines the role that music plays in forging new identities and in crossing political boundaries in disputed territory. Music has played a significant, if not always recognized role in world politics from campaign jingles to revolutionary protest music. We will explore music in the context of performances in daily life, religious ritual, and cultural and political events. From the music of Israeli Jews from Islamic lands to the proliferation of Reggae and Afro-Cuban music in Europe, we will focus on how music defies national and political boundaries and creates unlikely coalitions among listeners and performers. Some of the questions we will ask are: what is the role of technology in the globalization of local music? What is the impact of community upheaval (migration, exile, refugee status,) on music formation and change? The course challenges students to examine the assymetrical encounter and subsequent power relationships between local African, Asian, European, North American and Latin American musical traditions. 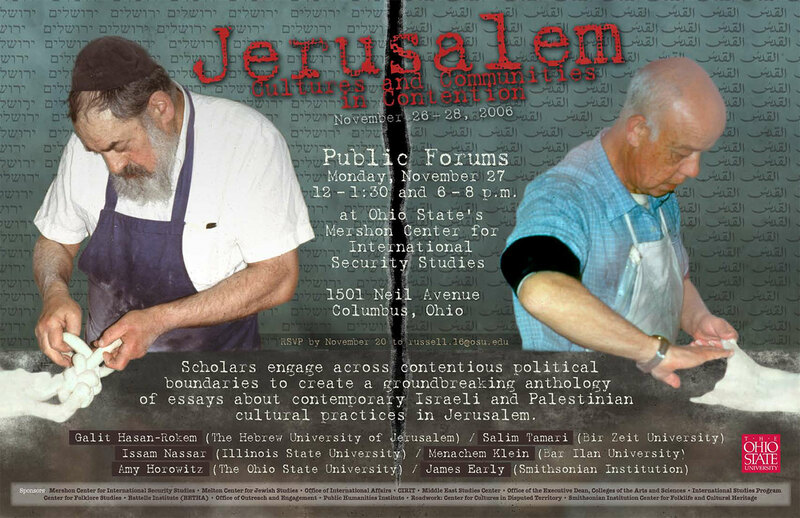 Founded in 1991, Living Jerusalem is an ongoing ethnographic engagement among Israeli, Palestinian and US scholars and students. The Living Jerusalem project began as a research effort connected with the Smithsonian Folklife Festival in the early 1990s. The following articles provide some background on the ethnographic phase of the Living Jerusalem project in the early 1990s from the perspectives of the project curator, Amy Horowitz, and the Palestinian and Israeli research directors, Suad Amiry and Galit Hasan-Rokem.